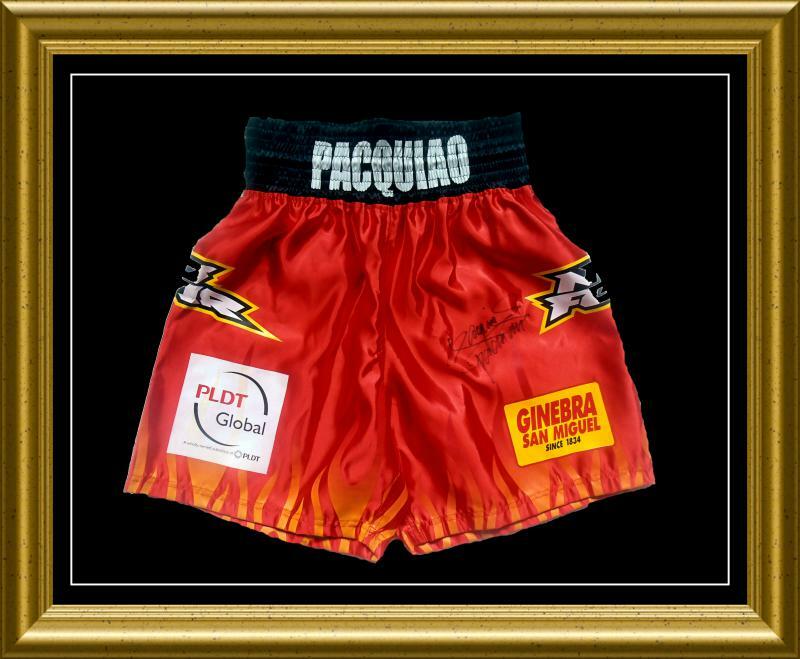 These trunks were exclusively signed by Manny Pacquiao at one of his chain of sports stores in Manilla, Philippines. 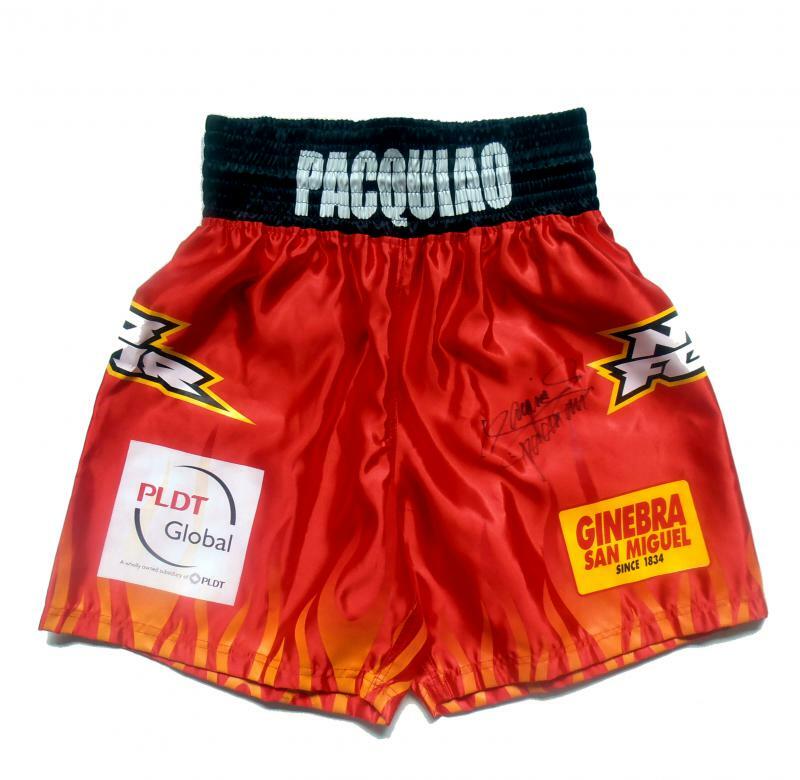 These Manny Pacquiao signed boxing trunks come with a COA from Team Pacquiao juxtaposed with an LOA lifetime & beyond guarantee of authenticity from ourselves here at KOfightposters. 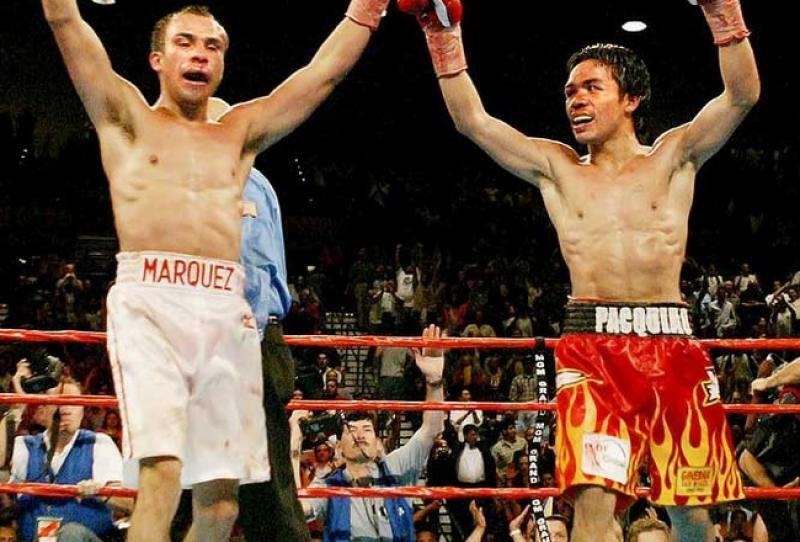 A fantastic addition for any collection.